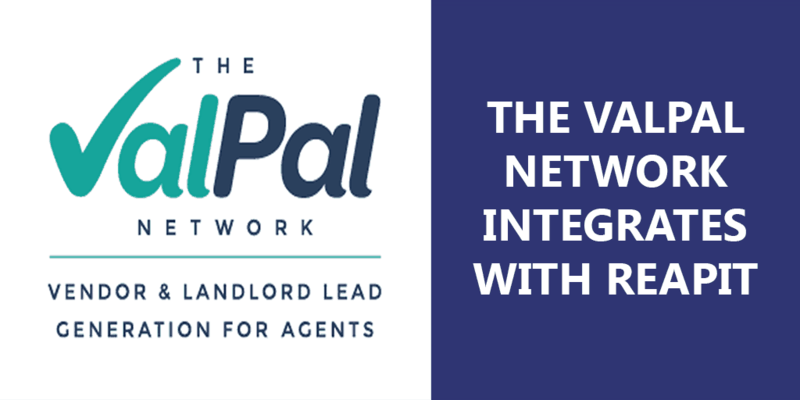 The ValPal network has now integrated into the Reapit platform, thereby expanding our offer to estate agents who choose to run their agencies with the ease and efficiency that the market has come to expect from Reapit. The award-winning ValPal Network, which now consists of over 800 agency brands with over 4,000 offices, is a leading provider of online valuation services and offers a range of other products and benefits, including lead sharing for all its members. The integration is designed to help Reapit clients who are members of The ValPal Network convert more online valuations into instructions. The combined PropTech solution provides agents with a 24/7 digital service that saves administration time and allows them to effectively track conversions. The first option, integrating with RPS Internet Registrations, allows agents to process online valuation leads like portal enquiries, with the ability to automatically convert leads and check them against existing contacts. Agents can also then track online valuations through to real completions to get a true measure of ROI. Alternatively, agents can integrate with RPS Digital – Reapit’s suite of digital tools that offer the ability to book and confirm valuation appointments for both sales and lettings through websites and other digital tools. “Our combined solutions offer a true 24/7 lead generation and conversion solution for agents,” says Gary Barker, CEO of Reapit. Not only do these integrated tools help agents to compete with others in the online and hybrid space, they do so without any disruption to the traditional agency operating model. Both industry suppliers were recently recognised for excellence at the 15th annual ESTAS ceremony. Reapit picked up the Best in Sector prize for CRM Software, while The ValPal Network was crowned the Best in Sector for their online valuation tool for the second year running. Alongside its award-winning valuation tool, The ValPal Network recently launched a range of services which provide agents with the tools to revolutionise their digital marketing strategy, nurture existing leads and generate more revenue. The ValPal Network now provides instant online valuation services and a range of additional products to over 800 brands and over 4,000 agency offices across the UK. The ValPal Network was winner of the Best in Sector Supplier of the Year Award for valuation tool at The ESTAS in 2017 and 2018. In 2016, ValPal was awarded the Estate Agent UK Networking award for Most Innovative Product. It is owned by Angels Media, also known for publishing online industry trade news websites Estate Agent Today and Letting Agent Today. For more information, visit: https://www.valpal.co.uk/.